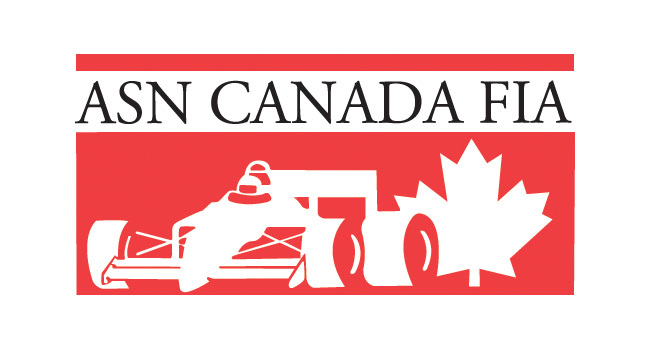 Championships Clinched in Sonoma for Challenge of the Americas – CKN | CanadianKartingNews.com | Because Karting is a way of Life! 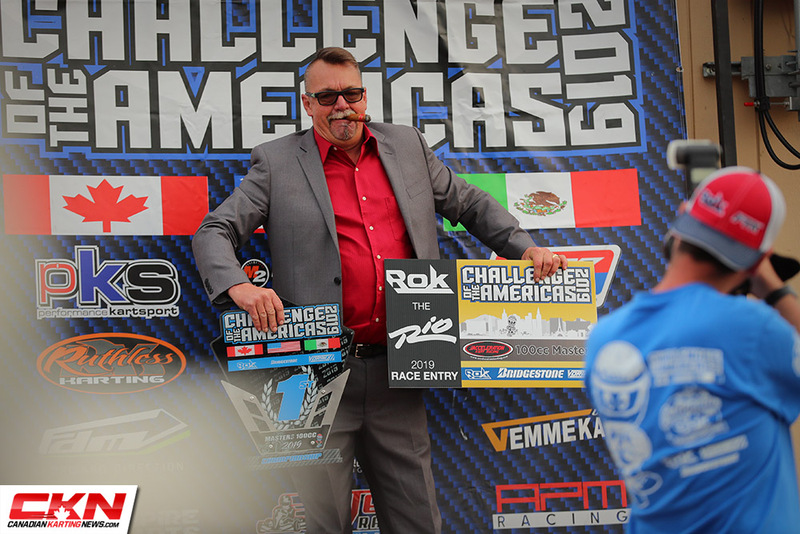 On a wet and warm weekend in wine country, nine class championships were determined for the 2019 Challenge of the Americas. Taking to the picture-perfect Simraceway Performance Karting Center in Sonoma, California, two full race days were completed to see who would not only take on the title in each category, but also the opportunity to race at the Rok Cup International Final in Italy, Rok the Rio in Las Vegas and the new Rok Cup California race series, all prizes for drivers who earned their way onto the championship podium after three superb events this winter. Entering the weekend, each category had unfinished business, with close battles at the top of the standings, but following Sunday, three drivers were able to sweep their respective races and confirm themselves as champions after a picture perfect weekend. 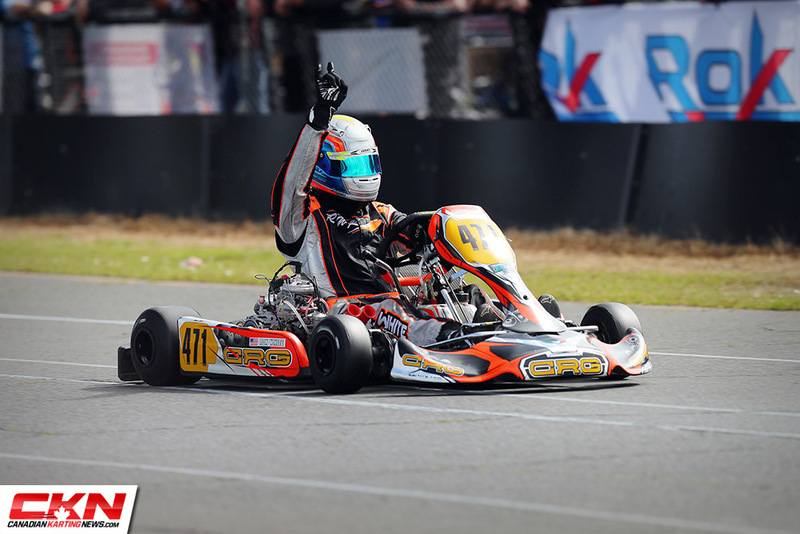 Showing no signs of his age, Ron White (CRG) drove home the championship in Rok Shifter by dominating in both Finals on the weekend. 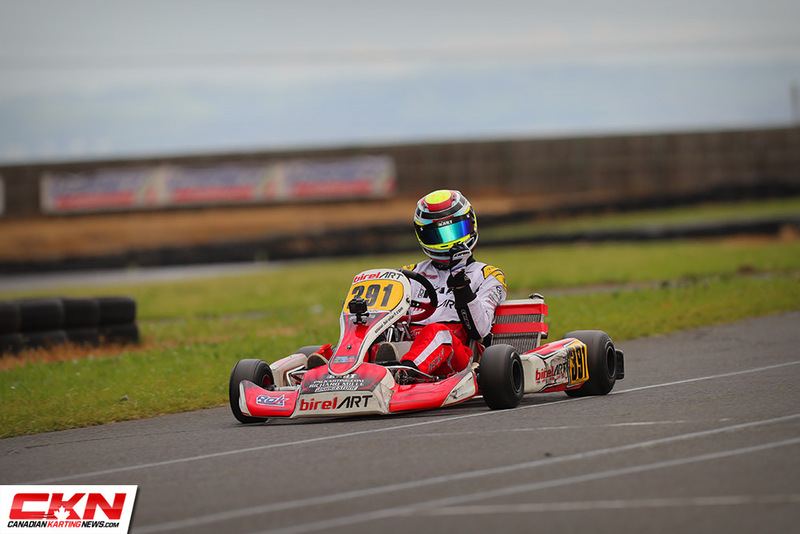 Even with Costa Rica’s Daniel Formal (Formula K) on the grid this weekend, White stepped up to extend the championship lead he entered the weekend with to become champion. 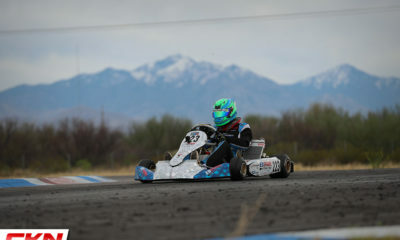 The duo, along with Hunter Pickett (GFC), Zach Pettinicchi (Formula K), Enzo Prevost (CRG) and Kol Bailey (GFC) duked it out in the early stages of the Saturday Final until White took the lead from Pickett on lap fifteen and didn’t look back, posting his fastest lap with one lap remaining before taking the checkered flag. It was a similar story on Sunday, except this time White got into the lead very early and broke free when the battle for second heated up between Pickett, Formal and Pettinicchi. That battled settled down when Formal was forced to retire with a broken shift rod on lap ten, and while Pickett closed some of the gap to White late in the race, there was no catching the eventual champion. 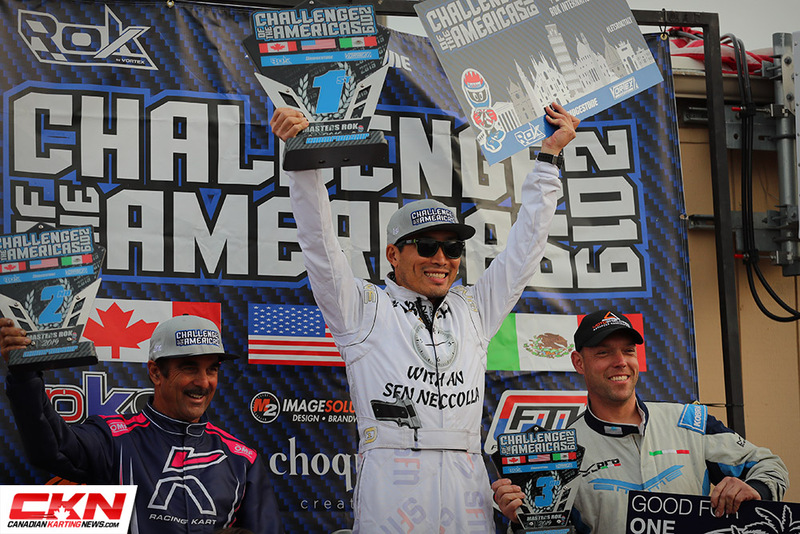 Joining White on the championship podium was Pickett and Pettinicchi, both race winners this challenge. The youngest driver in the field drove like a veteran all weekend long in Sonoma and it earned him an invitation to race in Italy. 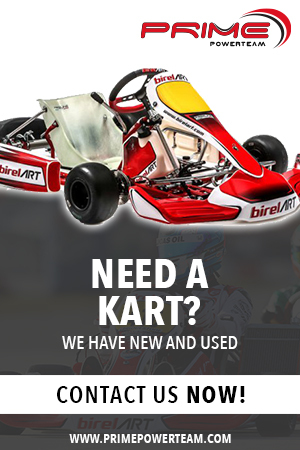 Cooper Becklin (BirelART) isn’t even fifteen yet, but he’s now a Challenge of the Americas Champion following his third straight Sunday race victory. Following a brief shower in the Prefinal that mixed up the running order, Canadian Jordan Redlin (Vemme Kart) led the field to green. Making the most of his eighth-place starting spot on Saturday, Becklin worked his way up to the third step of the podium, following great drives by Jake Drew (Kosmic) and Redlin, that saw Drew track down the race leader, overtake and eventually pull away when Redlin made a mistake on the final lap trying to set up a pass. 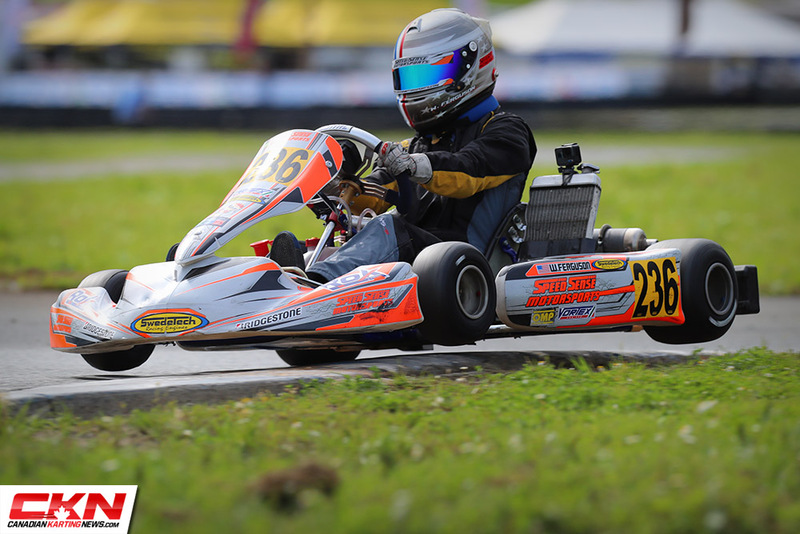 On Sunday, Becklin took advantage of a two-corner throw down between race leader Wesley Boswell (TonyKart) and Drew. 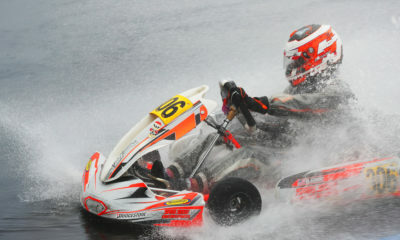 The two exchanged blows in corner eight and Becklin slipped by both and then pulled away when they continued their side-by-side battle in corner nine. That was all he needed to pull out a one-second lead and hang on until the end. 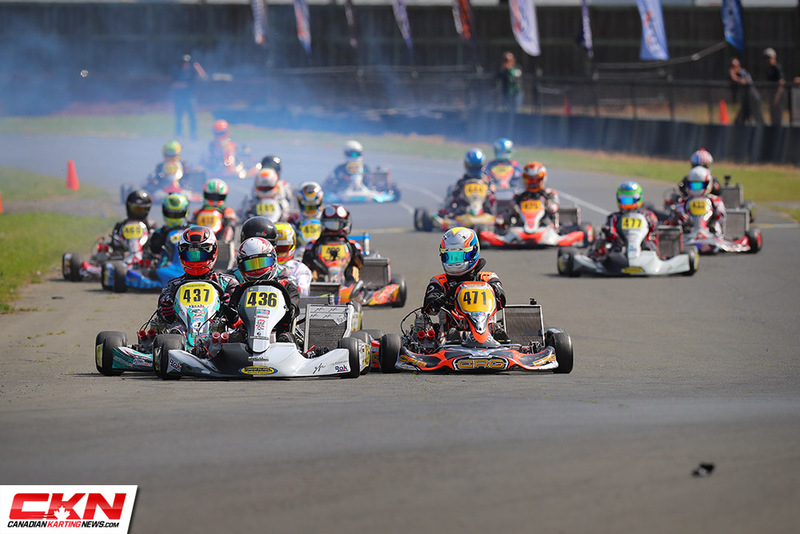 The race for third ended in fireworks with Redlin, Drew and James McKinney (Exprit) coming together in the final corner, allowing Colby Dubato (Ricciardo Kart) to sneak onto the podium. 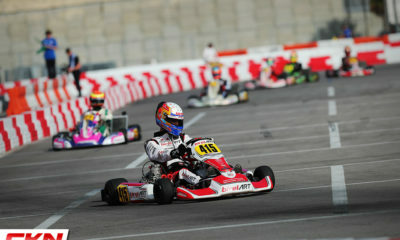 With Becklin as Champion, Drew scored the vice-championship award, an entry to Rok the Rio in Las Vegas while McKinney, the defending champion, settled for third overall. 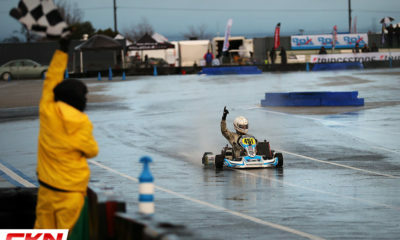 Two drivers in Rok Junior were able to successfully stand on the podium in all six Finals this winter and with both entering Sunday’s conclusion virtually tied, it was William Ferguson (Exprit) who stepped up to the table and drove home the championship. Entering the weekend, Ethan Ho (RedSpeed) was the provisional leader but he had to settle for a pair of runner-up results behind Ferguson that ultimately cost him the championship. Closing out the weekend with authority, Ferguson jumped out to the lead on lap one on Sunday and built up a lead of nine seconds by the time he took the checkered flag. Ho spent nearly half the race battling with Macy Williams (CompKart) for second place and surrendering his championship hopes as the laps ticked away. Williams would finish third on Sunday and joined the two on the championship podium. 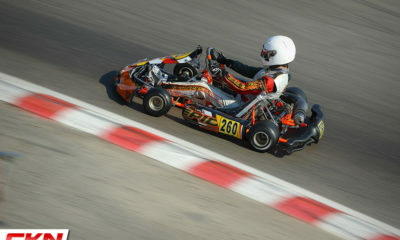 Wang edges out Cleavelin in Rok Masters by only 20 points! The scenario was almost identical to Rok Junior as Billy Cleavelin (Kosmic) entered the weekend as the championship leader, but he could only sit back and watch as Derek Wang (FA Kart) pulled away from him in both Finals to not only drive home two race victories, but also the championship title. 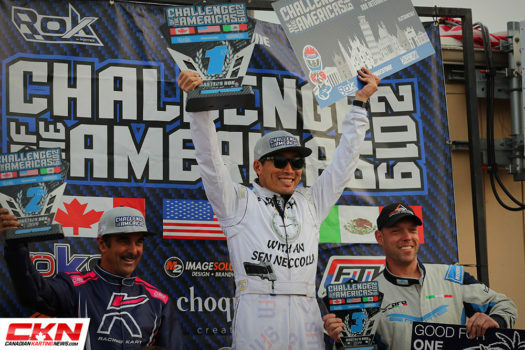 The duo finished 1-2 in both mains in Sonoma with Wang standing on the podium in all six Finals, a consistency that helped him to the championship by only 20 points. 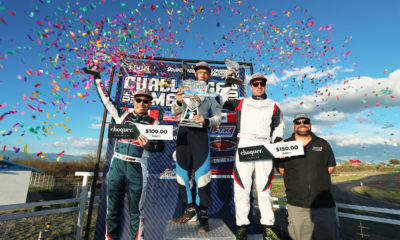 Round four winner Nick De Graaf (Vemme Kart) took third in the standings but was never much a threat this weekend in California. Frenchman Enzo Deligny (TonyKart) used his two pole-positions and race wins in Sonoma to overtake Logan Toke (Top Kart) for the Mini Rok Championship. When the dust settled the pair was divided by only five points in the standings, with Anthony White (CRG), nephew of Ron White, joining them on the championship podium. 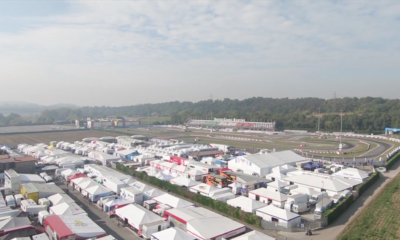 The winning streak in Micro Rok for Filippo Sala (Vemme Kart) ended at five as the young Italian driver had to retire on Sunday with a mechanical issue, ending his chances of a perfect Challenge season. Zachary Walrod (Benik) won on Sunday with Gage Jarvis (Benik) and Canadian Sydney Cassels (Vemme Kart) joined Sala on the championship podium. With provisional championship leader Adam Kasick not in attendance for the finale, Colby Dubato (Ricciardo Kart) stepped up and took home two race wins in 100cc Senior. 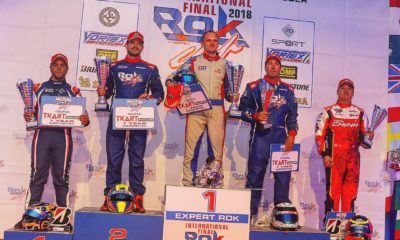 Ending the year with three straight victories steered Dubato to the title followed by Jackson Dunn (CompKart) and Senior Rok champion Cooper Becklin (BirelART). Finally, Jimmy Gregory (K&K Kart) was crowned the 100cc Masters Champion, although he needed to run across the finish line after an engine issue plagued him from even starting the Sunday Final.